Jake La Botz was conceived while his parents listened to a record by Texas bluesman and sharecropper Mance Lipscomb. Raised in the city of Chicago, Jake was exposed to its thriving multicultural music scene early on. He attended public school through the ninth grade and then discovered punk rock. The punk scene was a natural place for a misfit kid to end up in the 80s. He identified with the emotional rawness of the music and got a feeling of belonging somewhere. He later got that same feeling hanging around with some of the bluesmen. Whenever back in Chicago, he spent his Sunday mornings hanging around and occasionally busking at the famed westside flea market on Maxwell Street. There, he got to know the reigning bluesman on the scene, Maxwell Street Jimmy Davis who was to become a close friend and mentor. Still a teenager at the time, he would sneak into clubs to hear other blues legends such as Homesick James and Honeyboy Edwards, who he later spent a great deal of time with both on and off the stage. With the encouragement of his mentors, Jake began to play professionally. He worked the bars, streets and train tunnels of Chicago. Sporadically, he would venture back out on the highways, making roadtrips to the Mississippi Delta and other parts of the South where he played on the streets and in local juke-joints. La Botz continued to wander the country's backroads and byways with an occasional trip to Europe. In 1996 he wound up in downtown L.A. playing at Al's Bar once a week in exchange for a room in the hotel upstairs. His steady stream of performances at 'hipster' bars, blues clubs, tattoo parlors and gospel churches resulted in attention from the independent film world and an improbable acting career began to unfold. His most noteworthy role is in the prison film Animal Factory directed by respected actor Steve Buscemi. Acting alongside such notables as Willem Dafoe and Mickey Rourke, Jake portrays a blues-singing convict and performs two original songs on screen. Since Animal Factory, he has contributed songs to several soundtracks and appeared in a handful of films. In 2004 he was invited to appear in the soon to be released Buscemi film Lonesome Jim starring Liv Tyler and Casey Affleck. Along the way, La Botz recorded two CDs of original material, his self-released acoustic project, Used to Be (2001) and The Original Soundtrack To My Nightmare (1999) for the Minneapolis artist-cooperative Spinout Records. 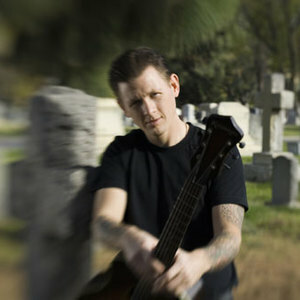 His new CD, All Soul and No Money was released in May 2004 on Joseph Street Records. Produced by La Botz and engineered by Todd Burke (Ben Harper, Jack Johnson, Gary Jules) the CD was recorded at Hollywood Sound and Sunset Sound Factory.